Will Clarity be the uber voice assistant device we’ve all been waiting for or will it seem like something that is trying too hard? Clarity promotes itself as a “3-in-1 wireless speaker, internet radio and Android tablet.” It claims to have both an AI-voice assistant and access to all of the apps in the Google Play store. The video shows a user doing a voice search using “Hey Google” followed by a question to Alexa about how long the travel time will be to “downtown.” Later we see someone with the touchscreen and then a Google Assistant integration with Pandora. The product design raises two questions up front. Do you really need a screen for a voice assistant and do consumers need access to multiple voice assistants from a single device? The intent behind Clarity seems to be, “you don’t have to choose.” Clarity wants to provide you everything that you can find on Amazon Alexa, Google Home and even an Android tablet in a single device. Then again, this is a pre-order for a device planned for release in June 2017. The video may represent features planned at launch or the long-term vision. Clarity raised over $100,000 on Indigogo from 927 backers so the feature set apparently struck a chord with some users. Will users flock to its all-in-one solution over Amazon and Google devices? Will it come to market soon enough to capture household market share? Do We Really Need Another Screen for Voice Assistants? We are in the early days of home-based voice assistant adoption. However, previous analysis shows that early mover advantage will likely result in a winner-take-household market. Only 11% are likely to switch based on recent survey data so capturing consumers early is critical. 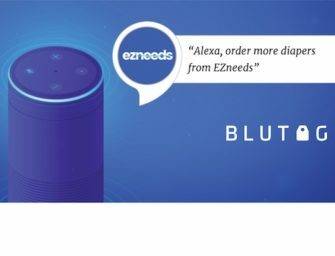 With that said, the multi-platform support may suggest Clarity can target existing Amazon Echo and Google Home users because it would be compatible with their initial choice. The bigger challenge may be that Clarity looks a lot like a tablet in a new form factor. Google users already have access to Android tablets and phones that will have similar functionality. Amazon is rumored to be planning for an Echo that includes a touch screen and already has Kindle readers and Fire Tablets.